Craving a burger? You're in luck! We've found the freshest Philadelphia eateries to quell your cravings. Here are the newest places to check out the next time you're in the mood for a juicy burger and fries. The Bridgeview Cafe is a new American spot that specializes in home-made breakfast and lunch favorites. For burgers, look for offerings like "The Polish Burger," a house-made Angus beef and kielbasa patty with swiss cheese, potato crisps, sauerkraut and paprika aioli, as well as "The Brunch Burger," topped with a fried egg, crispy bacon and spicy ketchup. The Bridgeview Cafe's current Yelp rating of five stars out of three reviews indicates positive attention from users. Yelper Donna T., who reviewed The Bridgeview Cafe on April 9th, wrote: "A neighborhood treasure, like the TV show 'Cheers.' Count on home-cooked food with authentic tastes of Philly including sausage and baked goods from local vendors." The Bridgeview Cafe is open daily from 6am-4pm. The new burger joint comes from Michael Pasquarello, who also runs Fishtown's Kensington Quarters, according to the Philadelphia Business Journal. 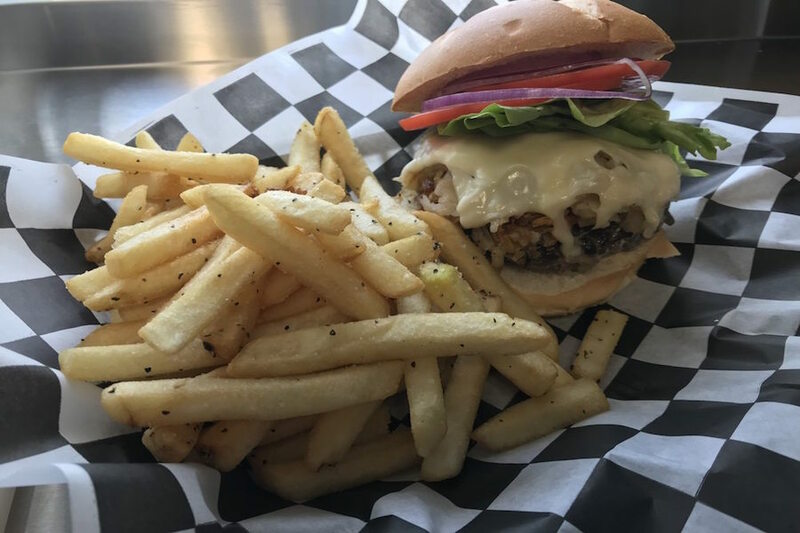 On the menu, expect to see burger offerings such as a classic burger with roasted red onions, the "Smokey" with cheddar, crispy onions and roasted long hots; and the mushroom with American cheese and 'shroom sauce. 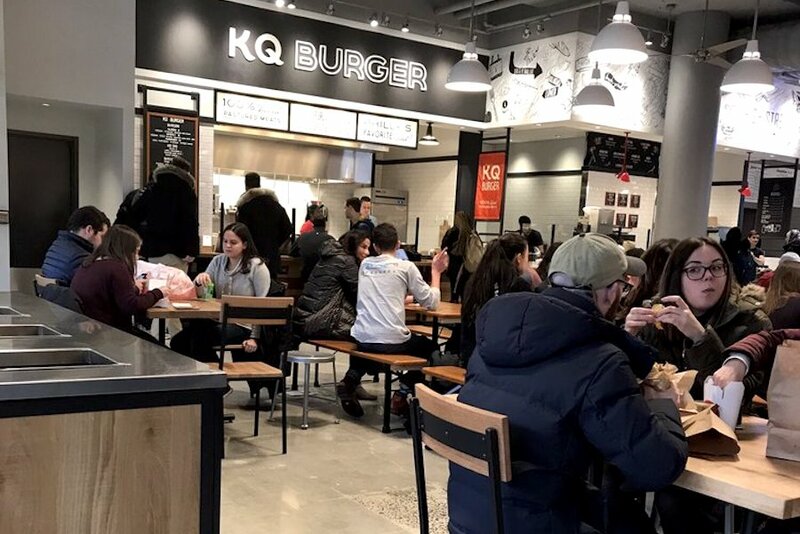 KQ Burger's current Yelp rating of 3.5 stars out of four reviews indicates that the newcomer is finding its way, but it's still early days. 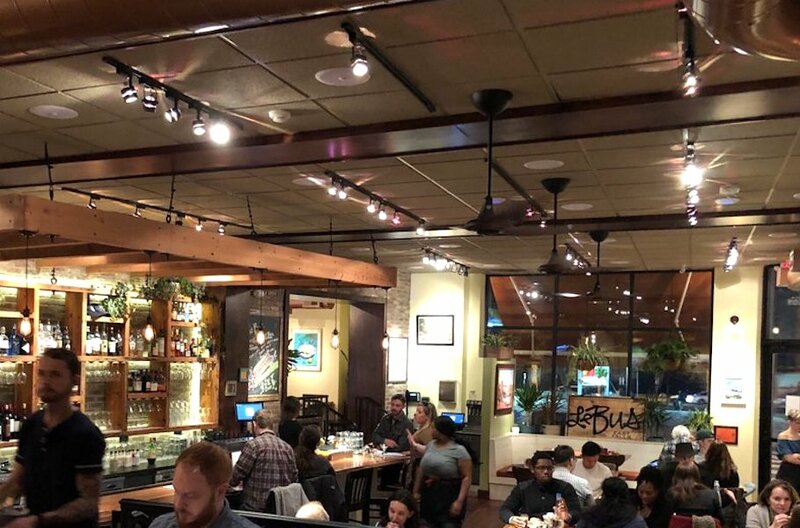 Yelper Marcel M., who was among the first Yelpers to review the new spot on March 12th, said: "Local everything from the grass-fed beef, cheese, fresh house-baked brioche roll and local mushrooms ... Huge fan of the Kensington Quarters restaurant and the local love and responsible sourcing." KQ Burger is open weekdays from 11am-8pm, Saturday from 11am-7pm, and Sunday from 11am-5pm. Located in the former Johnny Manana's, LeBus East Falls is a traditional American eatery with all-day service, offering burgers and more. Part of the Le Bus bakery and restaurant group, its opening is the first new restaurant venture from owner David Braverman--now a resident of the area--in 25 years. 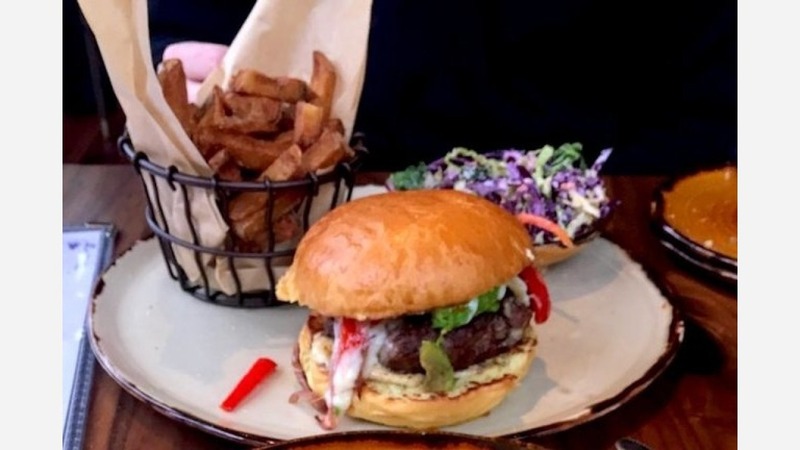 If you're looking for burgers, check out the "East Falls," a juicy burger topped with grilled onions, tomato, greens, remoulade and sharp cheddar cheese. Lebus East Falls' current rating of four stars out of 46 reviews on Yelp indicates the newcomer is still finding its way, but coming along nicely. Yelper V.R. said, "This place brings some class to the neighborhood. It's a step up from your average neighborhood bar. It's totally renovated inside and looks nothing like the previous restaurant. The food and the staff are amazing." Shane J. wrote, "I love the renovation to the space--flowers, the wood choice--it makes it warm and inviting. The crowd seems to be a nice mix of younger and older neighborhood folks, some that traveled a little and old LeBus regulars."